Here's a GREAT idea for the end of the school year! 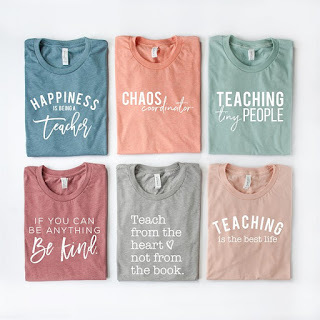 Get your favorite teacher one of these Teacher Tees that I'm sure he/she will LOVE for ONLY $15.99 (Retail $29.99) + Free Shipping. Teachers are the best! We all have a favorite teacher that would love one of our perfect tees! Choose your favorite design that fits their personality! I personally design shirts (here's my fb page) and these are the exact shirts that I use...they are super soft and great quality. Fits true to size.